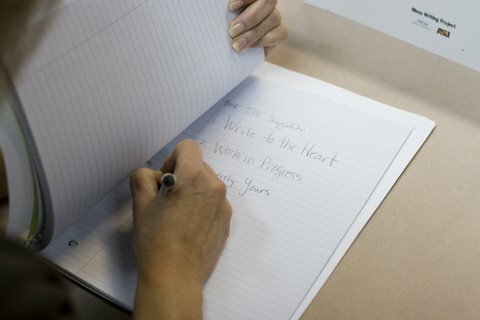 Six Traits Writing Techniques: The six traits of writing include Ideas, Organization, Voice, Sentence Fluency, Word Choice and Conventions. Click here for a list of resources including websites, books and articles to help you implement the Six Traits in your writing classroom. Click here for a PowerPoint Presentation by Dr. James Blasingame on the Six + One Traits of writing. What is college-level writing? Since 1872 when composition was first taught at the college-level at Harvard University instructors and students alike have questioned what the nature of writing should be in college and what qualities college-level writing should incorporate. Click here to review the PowerPoint Presentation by Sarah Duerden, Senior Lecturer in Writing Programs at Arizona State University. Click here for a list of resources including websites, books and articles to help you in teaching writing at the college-level. Using Technology in the Writing Classroom: With constantly changing technologies it can be difficult for instructors to continually incorporate technology in meaningful ways in the classroom. Click here for a list of resources including websites, articles and books to help you get started. Writing Across the Curriculum: While the Writing Across the Curriculum (WAC) movement originally began in British secondary education it has gained a great deal of momentum in the United States since the mid 1980s. Click here for a PowerPoint presentation on WAC, click here for a list of resources including websites, articles and books to help you incorporate WAC strategies into your classroom and at your school. Please click here for specific teaching ideas using WAC in your school.